In May this year, Rabbi Lord Jonathan Sacks delivered an excellent reflection on BBC Radio 4’s Thought For The Day, entitled ‘Prayer, meditation and ritual are fitness trackers for the soul’. His message was timely, pointing out how new technology can remind us of ancient wisdom of enduring importance. For several years now, a wide variety of ‘spirituality’ apps have existed, including Olive Tree, Headspace and Buddhify, some of which even come with notifications. I have used many of these, but now we are starting to see devices like Spire (which measures stress, calm and focus) and the forthcoming Altrius (which measures emotions). Wearable tech is on the point of bringing a four-intelligence approach to our fingertips. I am delighted that wearable tech is moving precisely in the direction that will enable its use beyond simple fitness tracking to the measurement of other intelligences. 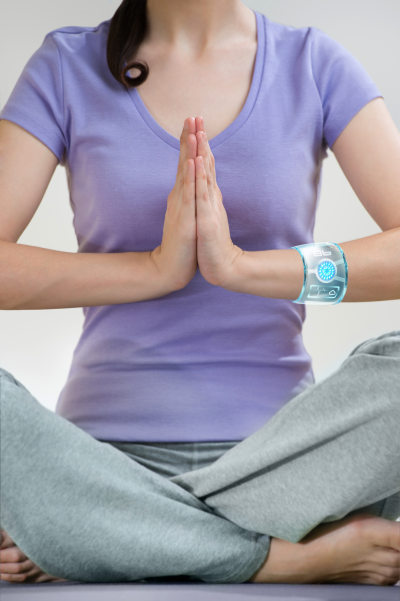 This begs a crucial question: when will wearables enable us to track our spiritual intelligence? The surface level is accepting where you are in your life. The next level is awareness of your ‘false self’. Richard Rohr defines this as ‘your incomplete self trying to pass for your whole self’. The deepest level is flow. This means you have an integrated life that is not needlessly compartmentalised. How can wearables help us increase the depth at which we’re operating? At one level, they can’t, since we still need to self-report so much of the above. But at another level, there are links between the four intelligences. For example, as Mihaly Csikszentmihalyi found, people whose lives are in flow tend to experience greater happiness. They are also calmer, more focused and less stressed. So it is not inconceivable that wearables will be able to help. My new tech start-up, Coachify, is already taking the lead on this, combining wearables and survey questions to give users a weekly tailored dashboard of their performance across all four intelligences: mental, emotional, physical and spiritual. Please share your experiences and questions below. I read every comment!